It takes drive, persistence, and plenty of stamina to practice cardiology at the highest level. The competition for training fellowship spots is intense. Hundreds of applicants from all over the world compete to be accepted into the Cardiovascular Disease Training Fellowship at Johns Hopkins. Only nine are chosen each year. This is the story of one of those fellows. 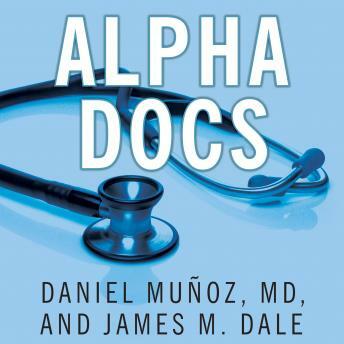 In Alpha Docs, Daniel Muñoz, MD, recounts his transformation from wide-eyed young medical student to caring, empathetic professional-providing a rare inside look into the day-to-day operations of one of the world's most prestigious medical institutions. The training is arduous and often unforgiving, as Muñoz and his colleagues are schooled by a staff of brilliant and demanding physicians. How they learn the art and science of untangling cardiac mysteries, how they live up to the standards of an iconic institution, how they survive the pressures and relentlessly push themselves to reach the top ranks of American medicine, supplies the beating heart of this gripping narrative.